Spring is finally here and I am thrilled because it is one of my favorite seasons of the year. Although today is a rainy day in Atlanta, I actually don't mind it because that means my garden will look beautiful very soon! Plus, aside from going to church this morning, I had a nice day at home. Guess What? There are only 38 school days left for the year in my district! It is definitely full speed ahead with therapy sessions, eligibility meetings, IEP meetings, and a few re-evaluation meetings remaining. I want to share with you my therapy intervention recommendations that will carry you through the spring! Click on the pictures to go directly to the product links in my TPT store. 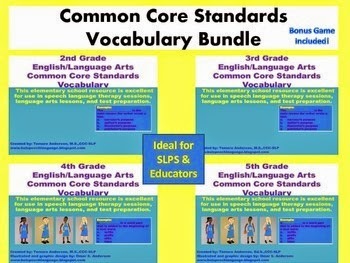 Next, I have my best selling 2nd-5th grade English/Language Arts Common Core Standards vocabulary task cards. These include a variety of skills that SLPs address in language therapy that directly relate to the standards. This is a great way to review a variety of E/LA skills with your students. I have a bundle that is ideal for use during basketball season this spring because it has a bonus basketball game included! 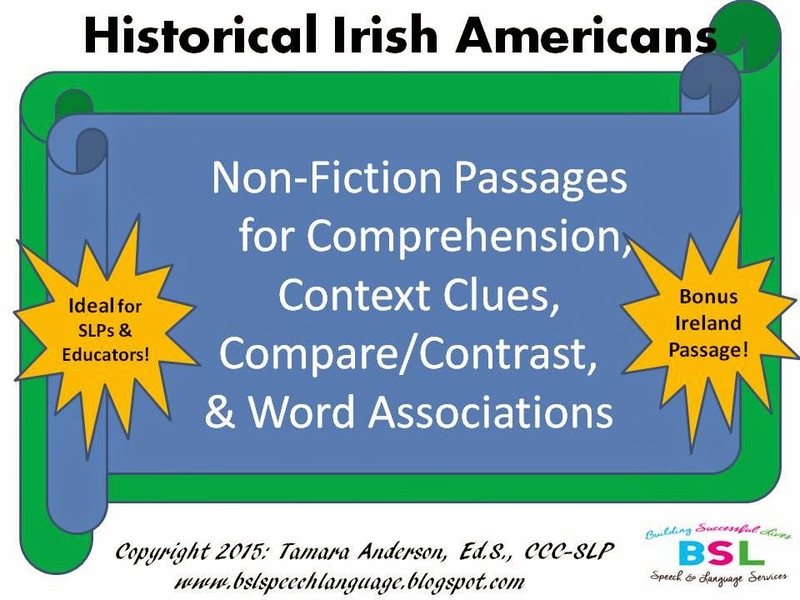 My Historical Irish Americans unit is perfect to use with 4th-8th grade students receiving speech-language therapy services or special education services for reading. This packet addresses comprehension, identifying the meanings of Tier 2 vocabulary from sentence contexts, compare/contrast, and word associations. This is the 2nd in my series of Historical American Figures. My newest series of Guess What? Curriculum Vocabulary Products are great for language intervention sessions with children in 3rd-6th grade. 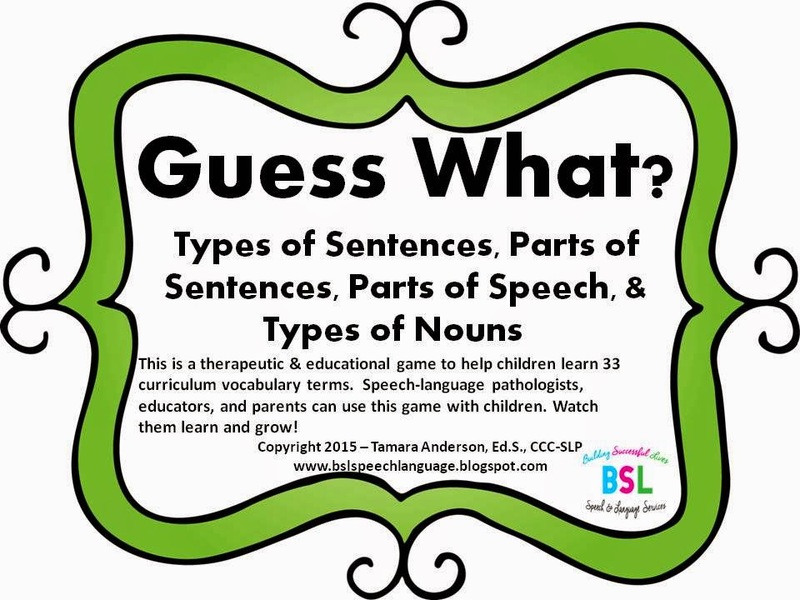 It is important that SLPs provide educationally relevant therapy and these resources do that because they are interactive games for kids to practice Tier III English/Language Arts terms. 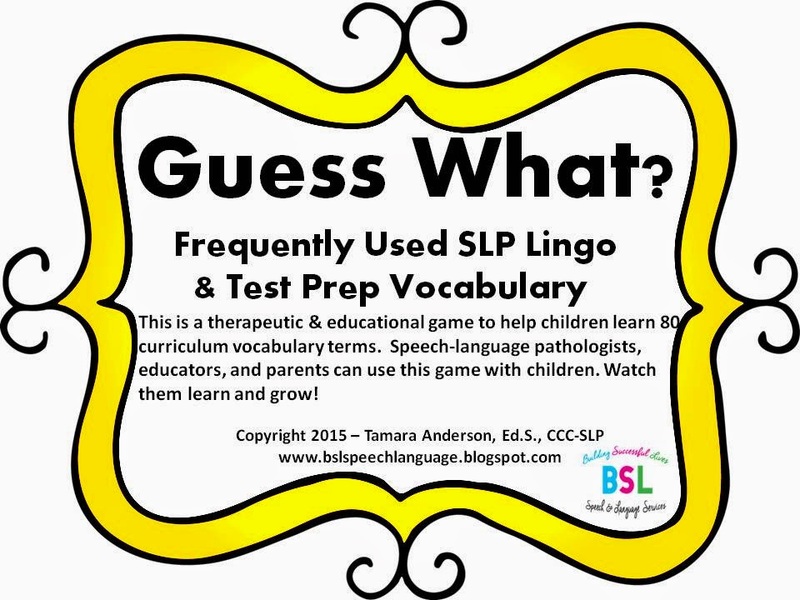 The SLP Lingo & Test Prep Vocabulary is my 4th in the series that will be available this week! I'll keep you posted. These are my recommendations to equip you with successfully leading therapy sessions and instruction with children. I wish your students and clients continued speech, language, and academic success!! Hey there! I am a speech language pathologist in the Metro Atlanta Area. I currently work primarily at an elementary school. I also have prior experience providing services in the hospital, clinic, home, and early intervention settings. I enjoy collaborating with other SLPs, OTs, special education teachers, psychologists, regular education teachers, and parents to best meet the needs of students. I believe that effective communication and language skills are essential for school and life success. I love my profession as an SLP because I can foster such growth in a child! Building Successful Lives Speech & Language Services was founded in 2013 by yours truly! I've been a practicing SLP since 2004. Thanks for stopping by! 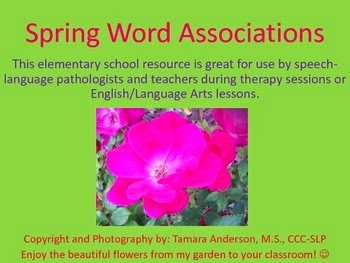 Follow Tamara Anderson's board Spring Theme - SLP on Pinterest. Follow Tamara Anderson's board Summer Theme - SLP on Pinterest. Right click & save image and use it to link back to BSL Speech Language!